I finally made my choice. 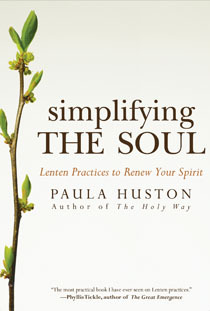 "Simplifying the Soul" by Paula Huston. The book should arrive tomorrow. Your book choice sounds lovely. For Lent, I will be reading Bread and Wine: Readings for Lent and Easter on and off as well as the Bible.